This book started off with me almost putting it down for good just in 2 chapters. Scarlett is annoying as hell to start off this story. If it wasn't for the intriguing notion of what the Caraval mystery was offering, I might have just been done. In the end I'm glad I stuck with it as once the mystery starts kicking off, it is a fun ride. I had a lot of fun with the twists and turns in this book, and seeing a certain character getting what he deserved felt good. I only have one last complaint, which would be the world building. Settings were just thrown together, with very little build up of what me as a reader should be seeing. This is another one of those ratings where I wish Goodreads would allow half stars. In my mind, this book is about a 3.5, and I feel like a half star up and down is either overrating or underrating it. But I'll go with 3 stars for this first book in the series based on how I almost dropped it off the bat. The ending of this book at least made the next book's plot setup super interesting. 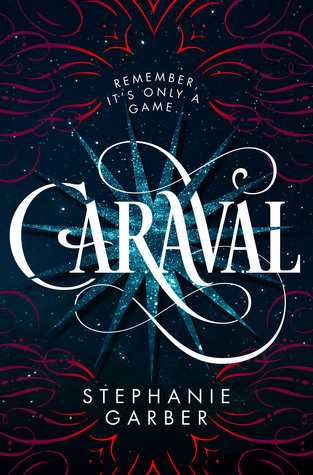 Sign into Goodreads to see if any of your friends have read Caraval.